Of everyone in the Ascension War — Traditionalists, Nephandi, and even other Technocrats — no one gets humanity quite like the Syndicate. The Convention of Cash doesn’t try to change people, and it doesn’t have the hubris of believing it should make the Masses “better” as its fellow Conventions do. 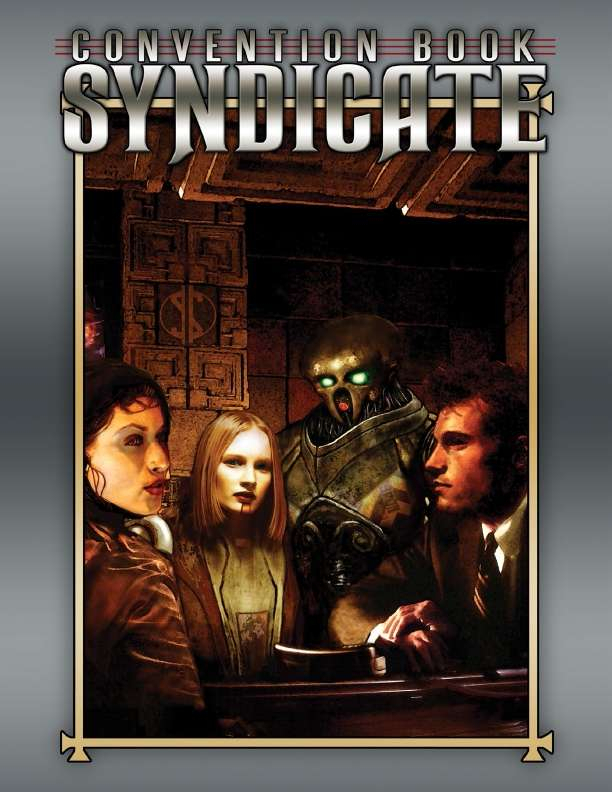 No, the Syndicate knows that the status quo keeps the world safe… and keeps them in the penthouse. The Syndicate distributes money and Primal Energy through the Technocratic Union, and that gives it power over the Union’s policies. But that might not be enough to prevent the New World Order and others from crippling the Masses worse than the Traditions ever could. Between the lows — hypereconomics backlash and market crashes — and the highs — crowdfunding and the reputation economy — this is an interesting time to be in the Syndicate. Convention Book: Syndicate updates Mage: the Ascension with fresh 21st century ideas of the Convention everyone loves to despise, in ways that will change how you see them.